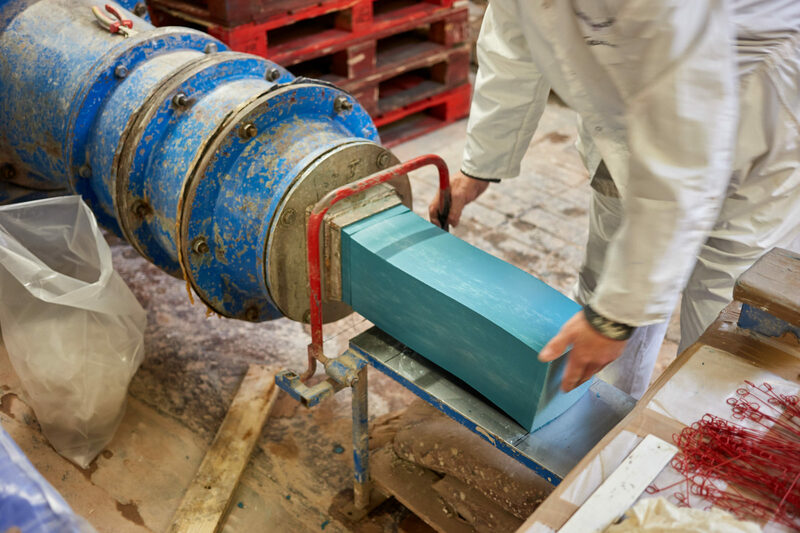 The installation presents the latest experimental production method to be developed by Granby Workshop, the Liverpool based architectural ceramics manufacturer set up by Assemble in 2015. 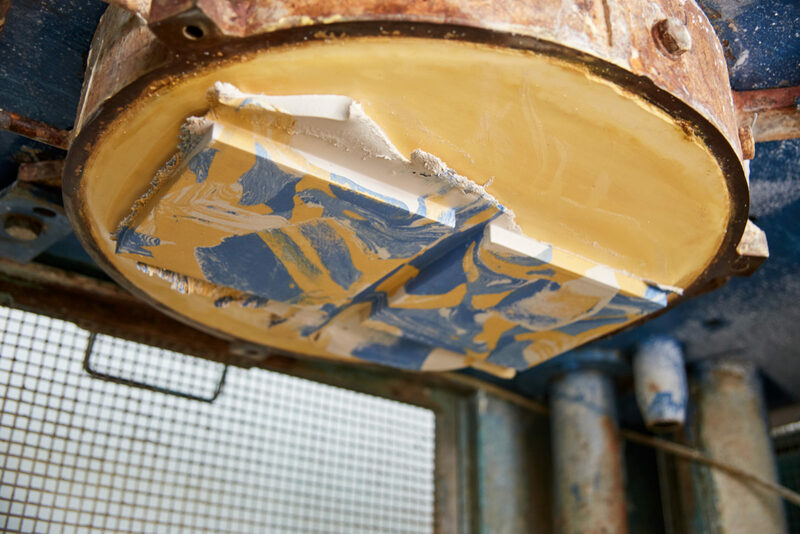 Reinventing the traditional encaustic clay tile-making process, these tiles are made by randomly combining pieces of different coloured clays in a mould under extreme pressure. 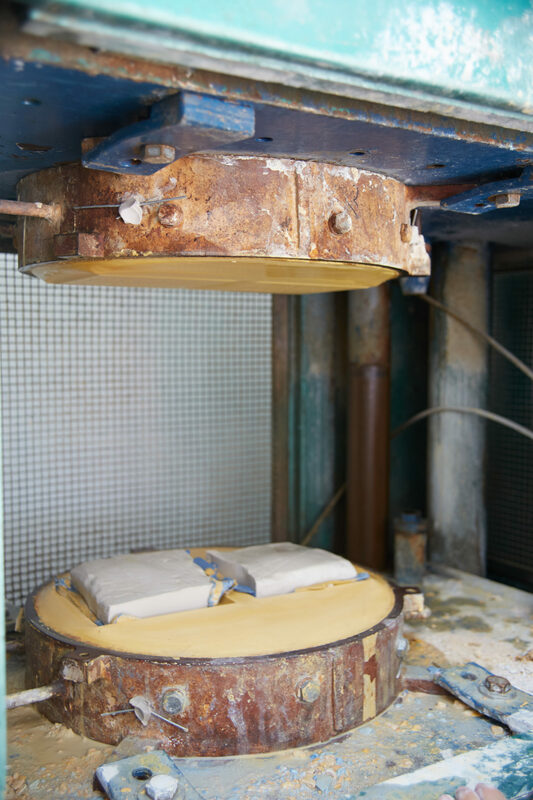 Each one captures a moment of chance in the act of making and they are all different. 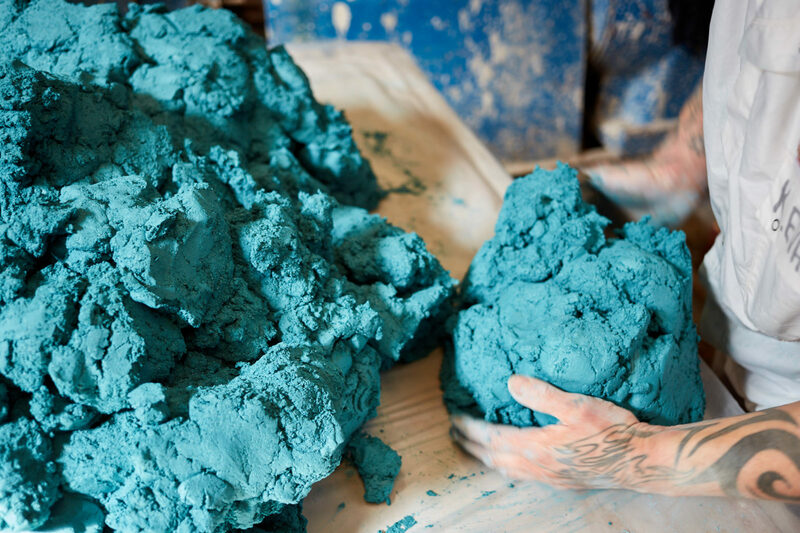 In response to the overall Biennale theme of ‘freespace’, the installation foregrounds ideas of material generosity and craft in architecture. 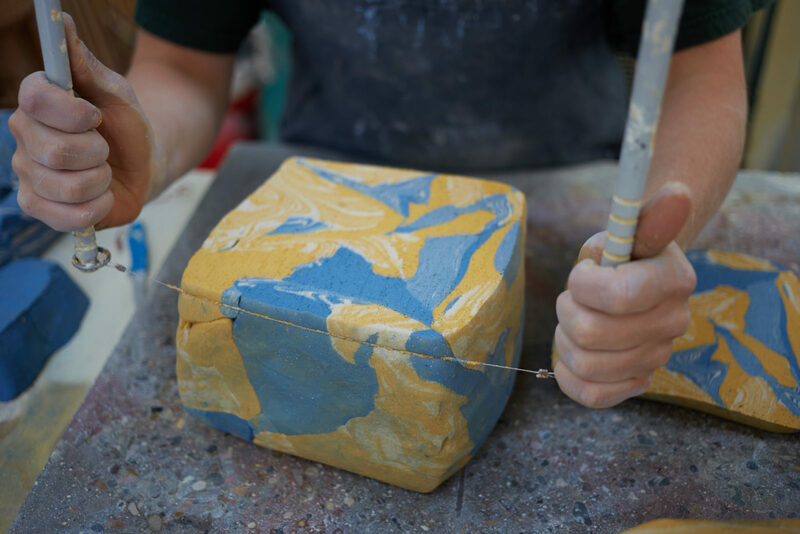 Products are developed and made at Granby Workshop according to a set of rules, which dictate that products use experimental methods, embrace improvisation in their making and be enjoyable and challenging to make. 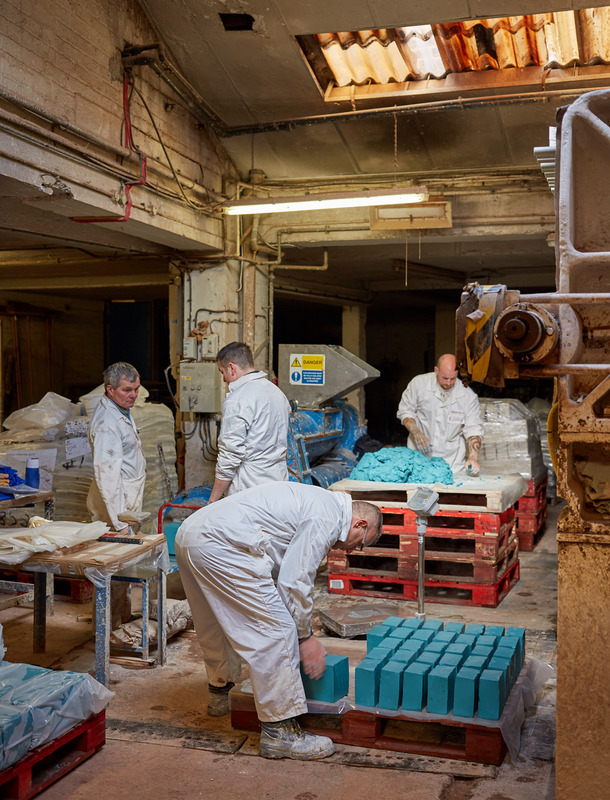 The Workshop supports employment and creativity in the Granby Four Streets area of Liverpool and grew out of the wider community-led rebuilding of the neighbourhood. 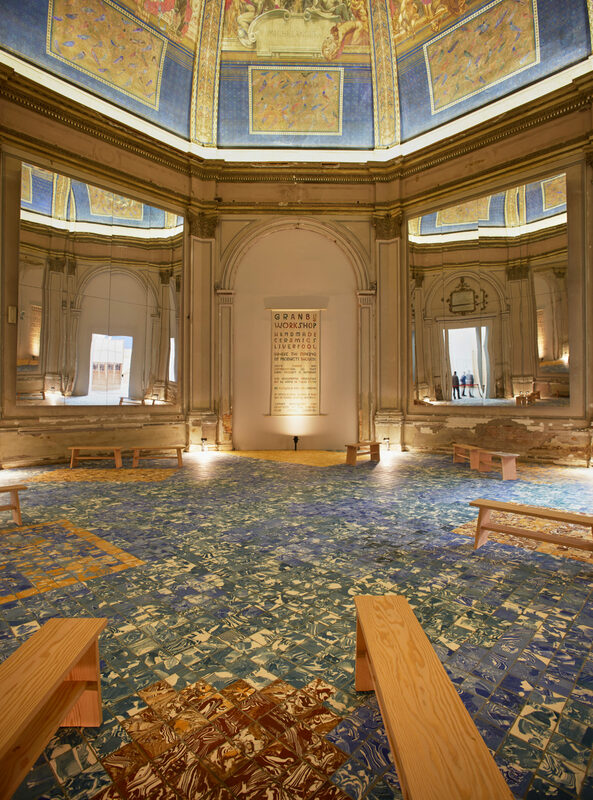 The installation creates a spectacular new floor for the Chini Room in the Biennale’s Central Pavilion. 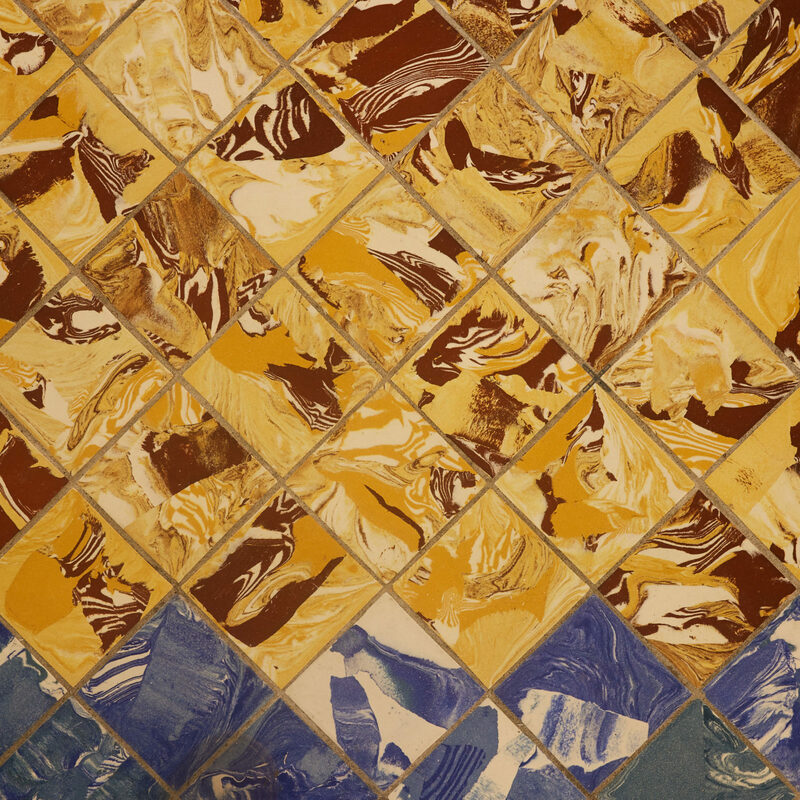 Combining close, considered detail and the visual power of the expanse, this ‘floor-de-force’ is a nod to the highly decorative floors of Victorian churches and municipal structures from the heydey of encaustic tile production. 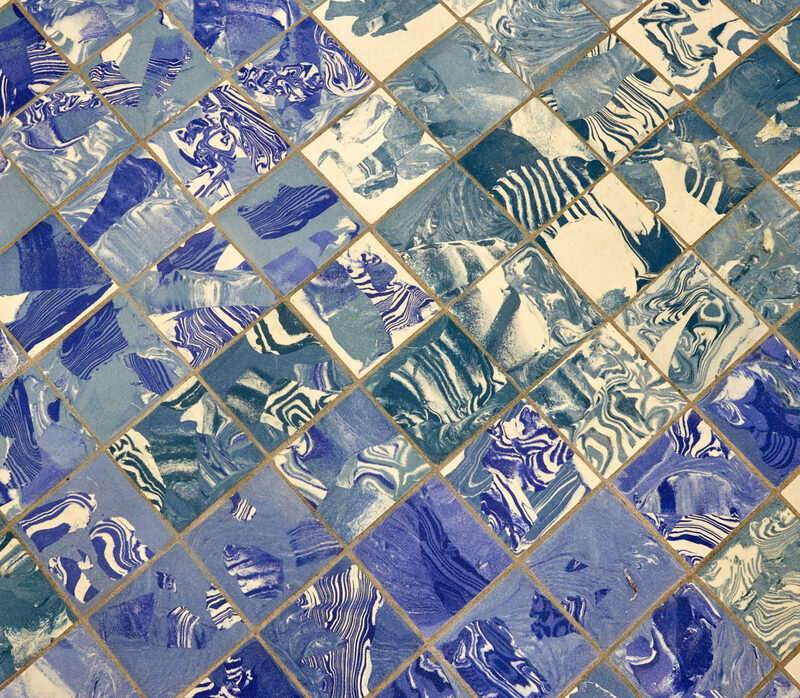 a collaboration between Assemble, We Are Here Venice and Granby Workshop. 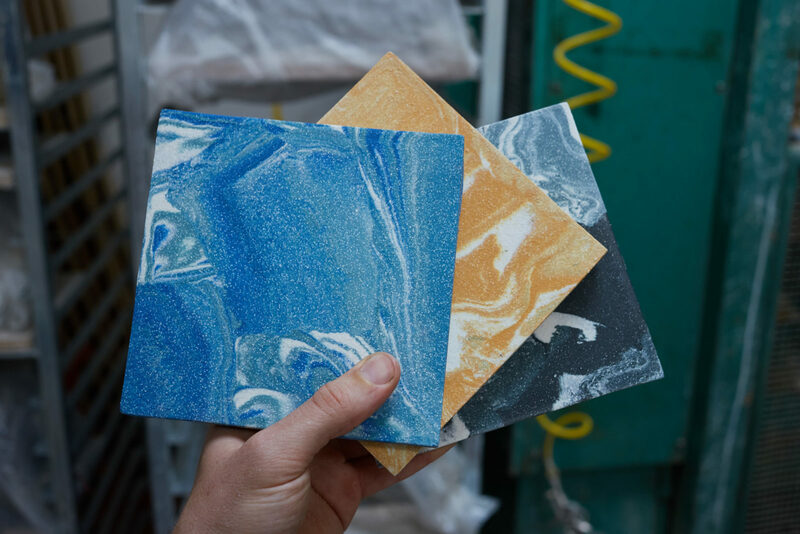 The encaustic clay tiles developed for the installation are part of a new product range available from Granby Workshop from September 2018. 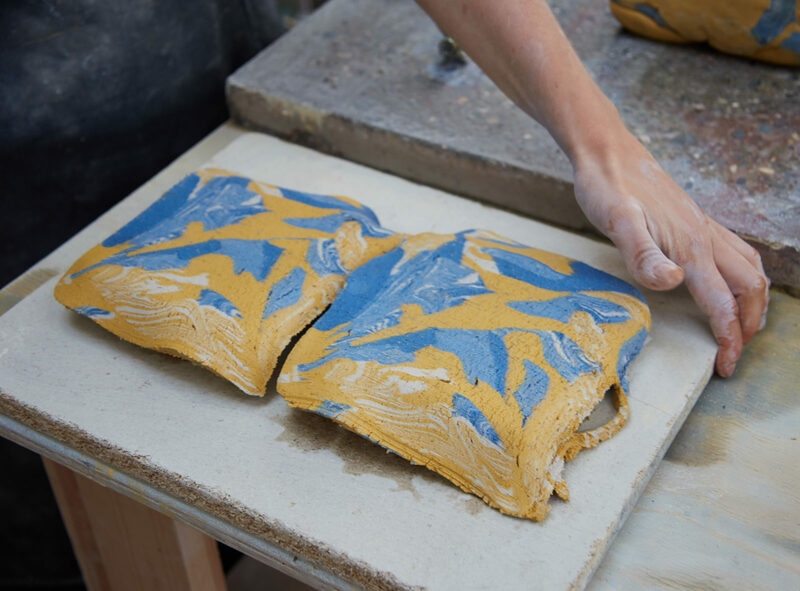 Made from unglazed, vitreous ceramic, the colours and patterns are not surface-applied but formed from the colours of the clay body itself. 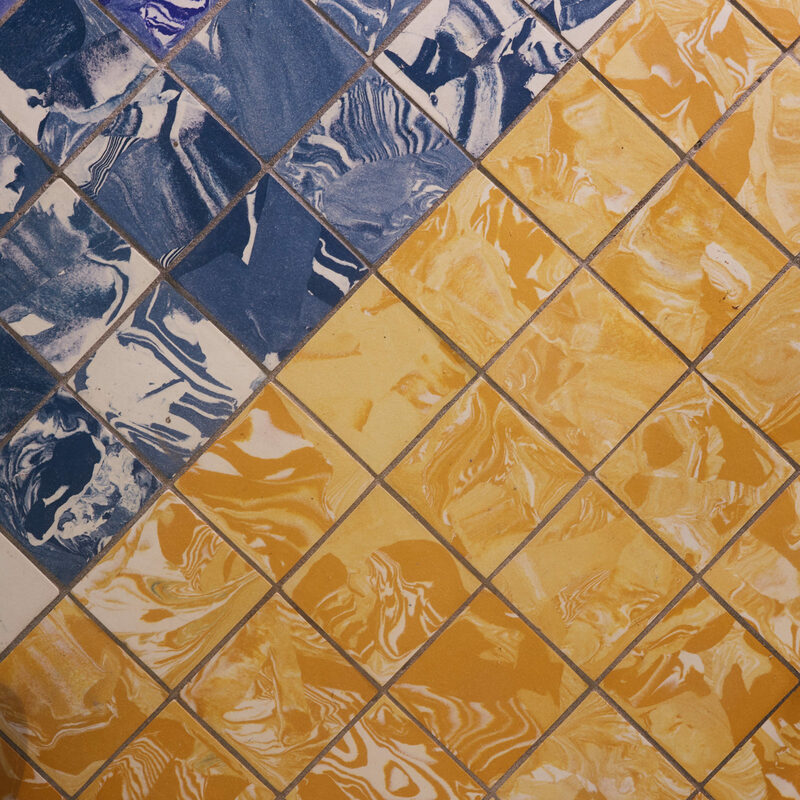 Like traditional encaustic clay tiles, they are extremely hardwearing and suitable for for interior and exterior use on floors and walls. 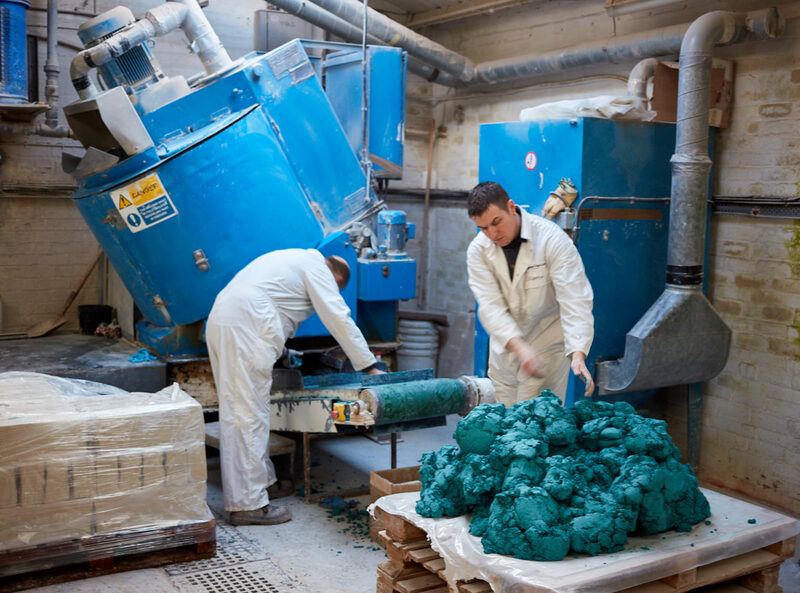 The production process builds on techniques developed through Granby Workshop’s extremely successful SPLATWARE Kickstarter campaign, utilizing a 60 tonne hydraulic press to produce colourful ceramics.